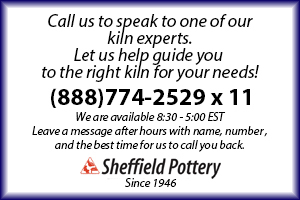 Amaco Kilns are a great choice for schools and clay studios. Most Amaco kilns are UL Listed for safety. Amaco excel kilns are top loading multi-sided kilns in many sizes. Sheffield Pottery also offers the hf series front and top-loading square and rectangular high-fire kilns.